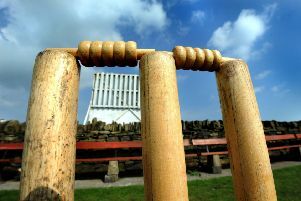 Monkseaton suffered a 70-run defeat when they travelled to Hebburn on Saturday. The home side batted first and scored steadily with both Monkseaton opening bowlers toiling to no avail. Stand-in skipper Chris Beever brought himself on and the wickets started to fall. With two lbws and two caught in the deep, Beever finished with figures of 4-32 off his 13 overs. Ian McDine took 3-48, Jordan Murphy with his off-spin claimed 2-52 and Barry Cliffe in his first bowl of the season bowled the last man. Hebburn scored 242 all out, but as with the previous week, Monkseaton conceded 55 extras which is nowhere near good enough. Monkseaton’s reply began briskly with veteran Bob Zanetti, hobbling due to an injury, smashing a fine 55, bringing up his 50 with a huge six. But wickets fell steadily with the only other resistance coming from Rob Clarke with an unbeaten 32. Monkseaton ended up with 172 and if they had not conceded so many extras would have been in with a fighting chance. Monkseaton seconds played Blue Flame 2nds at Churchill. The visitors batted first and were dismissed for 63, with young Matty Simms, a star for the future, taking 4-16 and veteran John Hewitt 3-5. Monkseaton knocked off the runs for the loss of only one wicket, with skipper Kevin Elliott scoring 30. The victory made it three wins out of four so far this season for the second team.